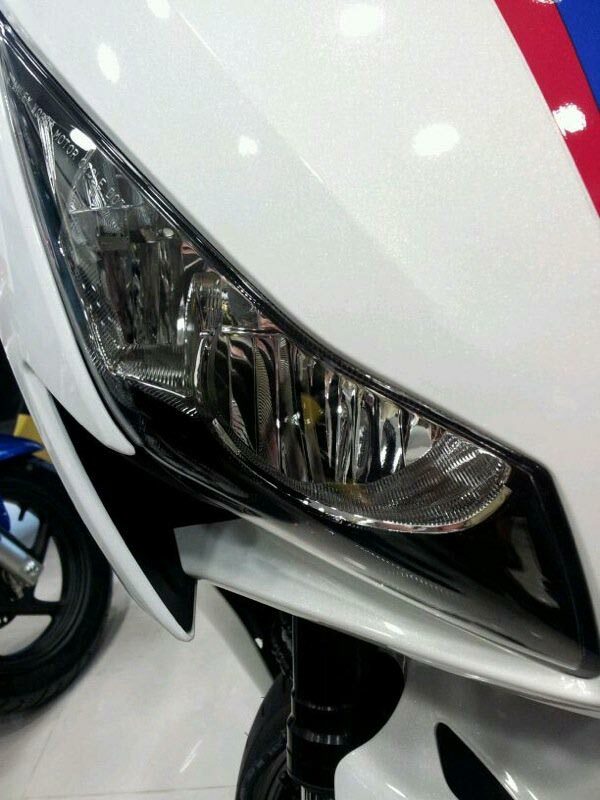 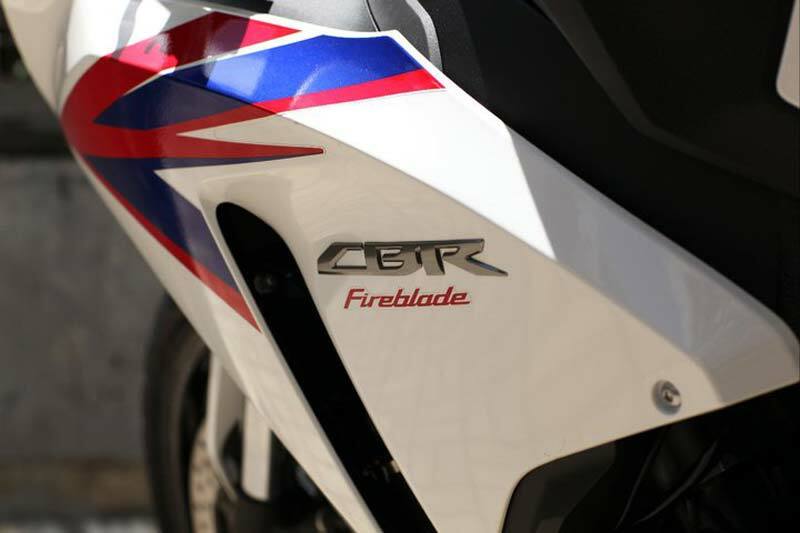 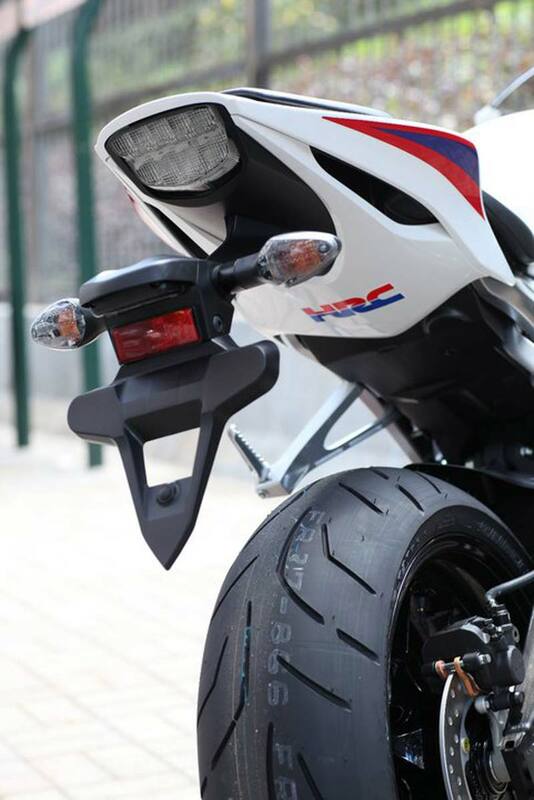 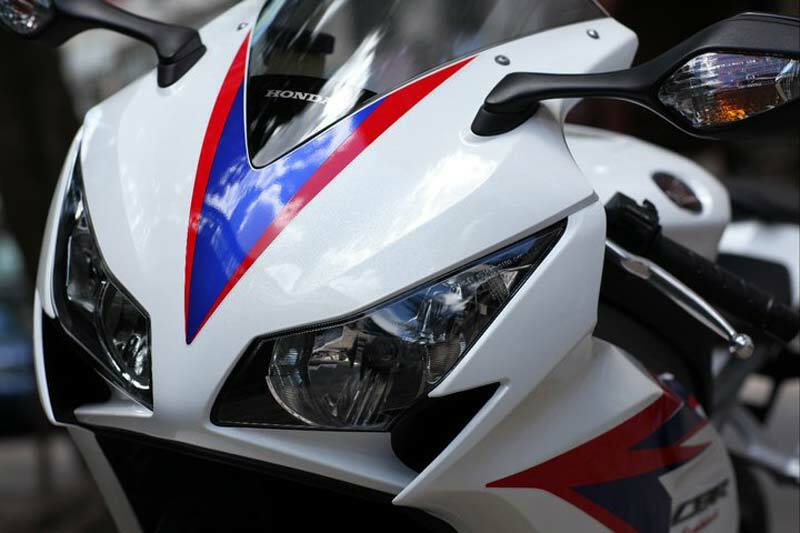 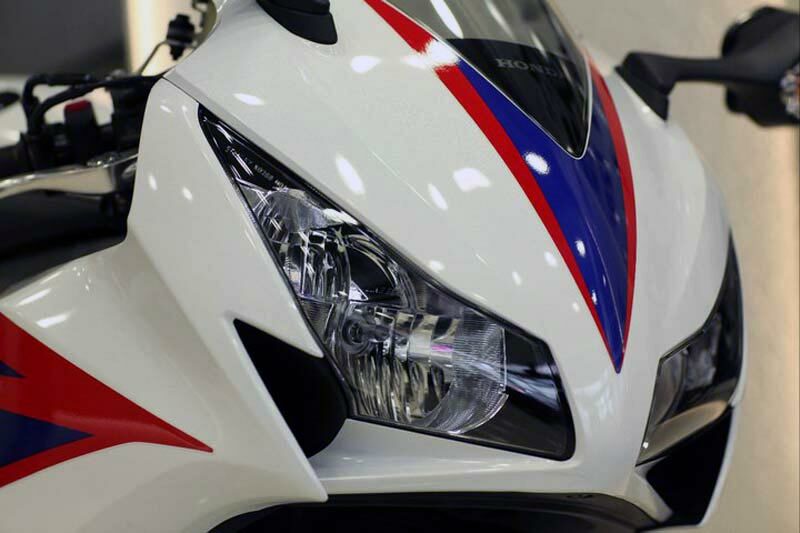 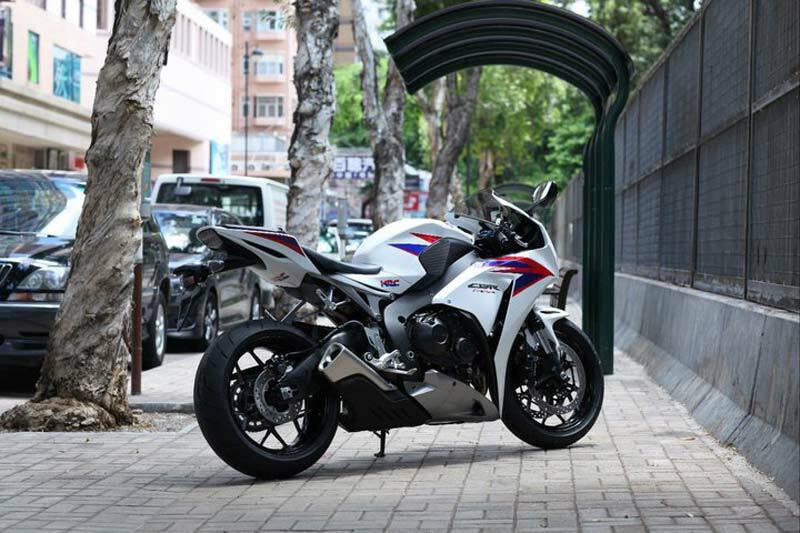 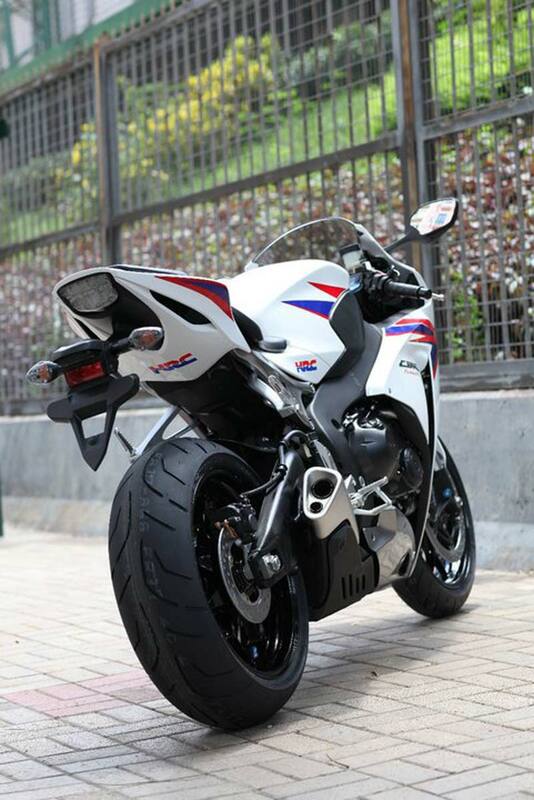 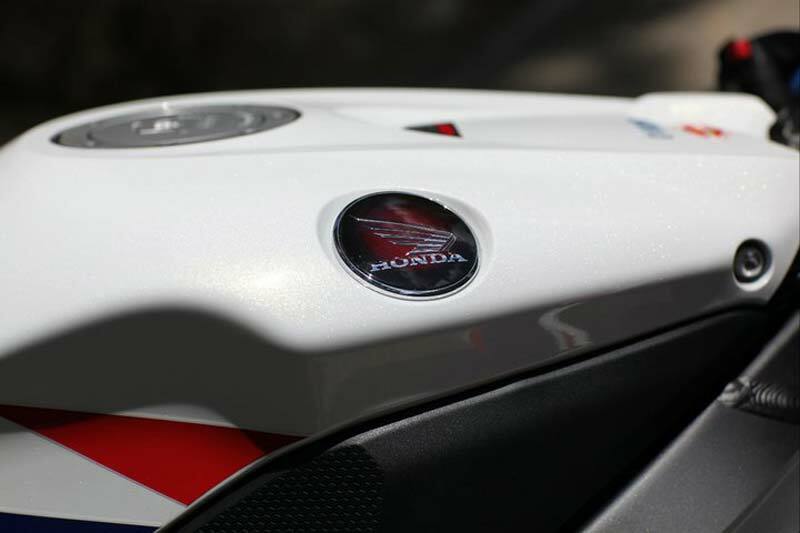 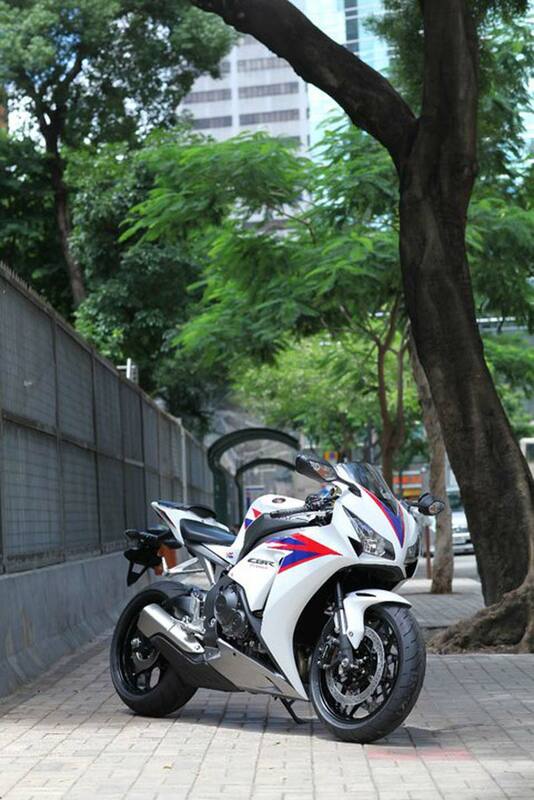 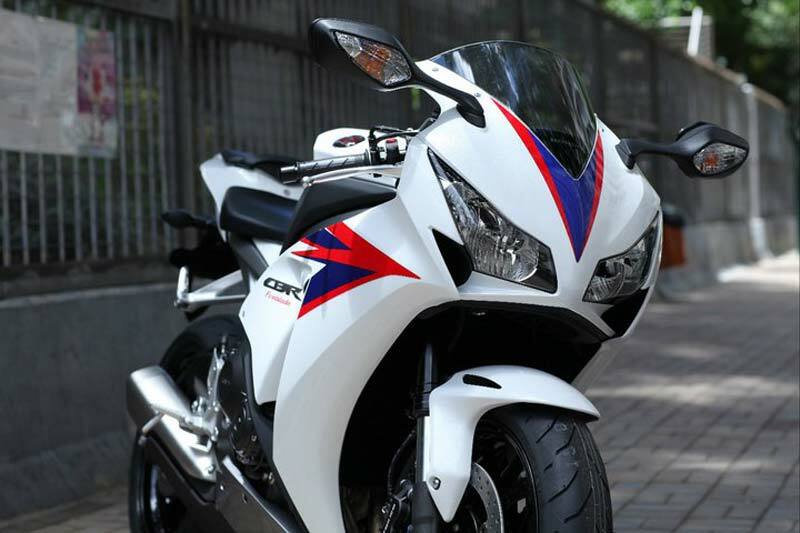 These images appear to be the first shots of the 2012 Honda CBR1000RR, and judging from our initial analysis, it looks like Honda is putting out only a cosmetically different version of the Fireblade for next year (*sigh*). 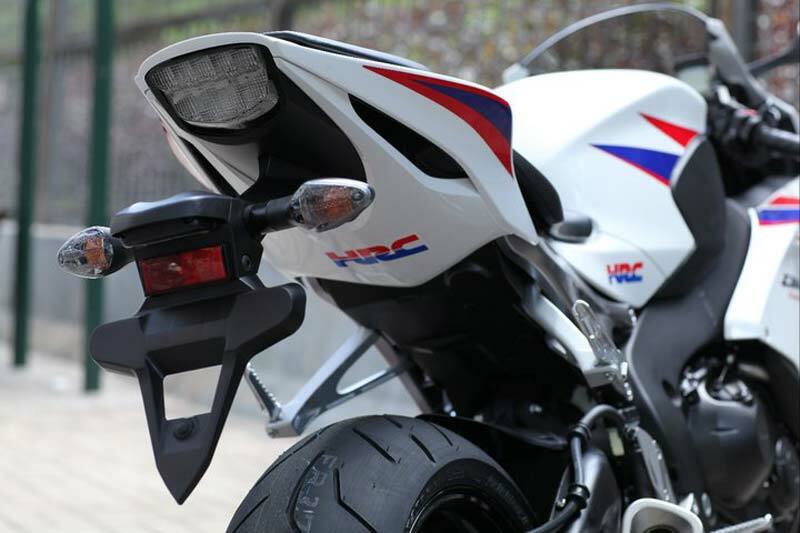 Showing off the HRC tri-color paint scheme (that surely won’t be coming to the United States), the majority of the new Blade looks quite familiar. 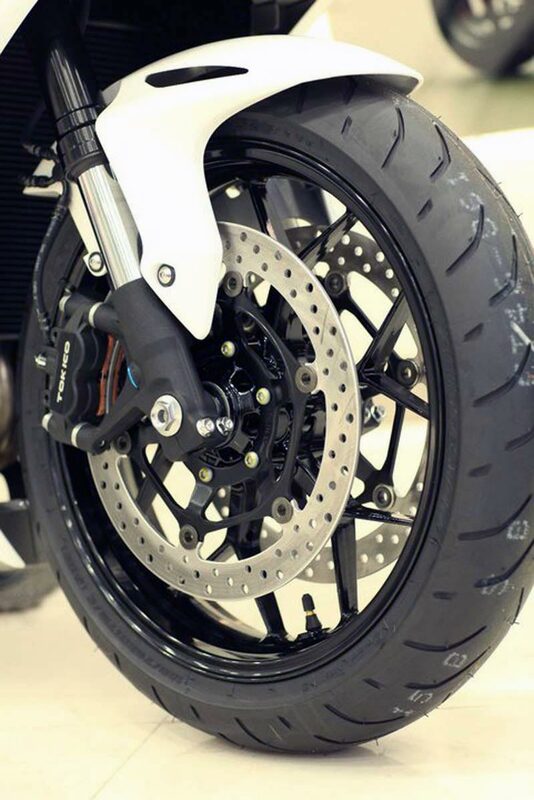 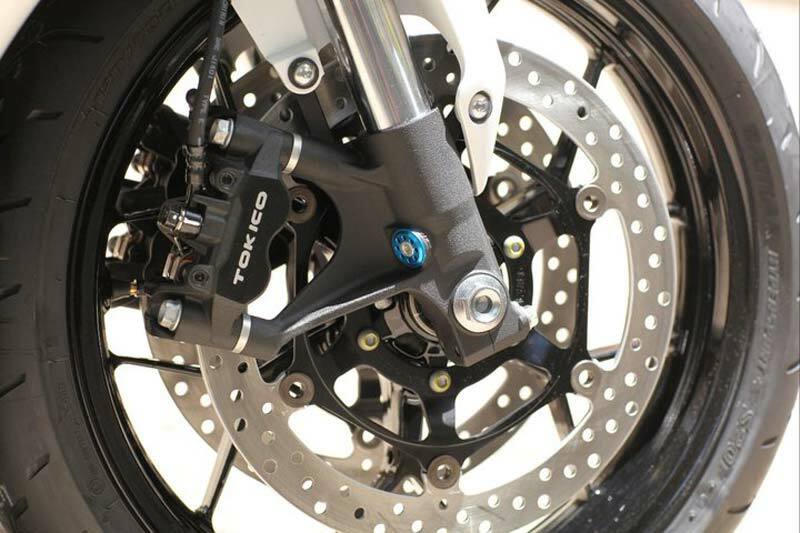 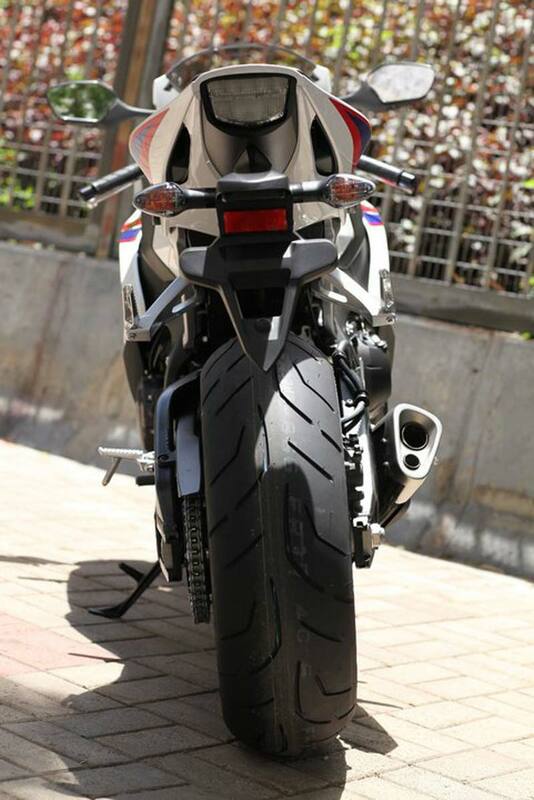 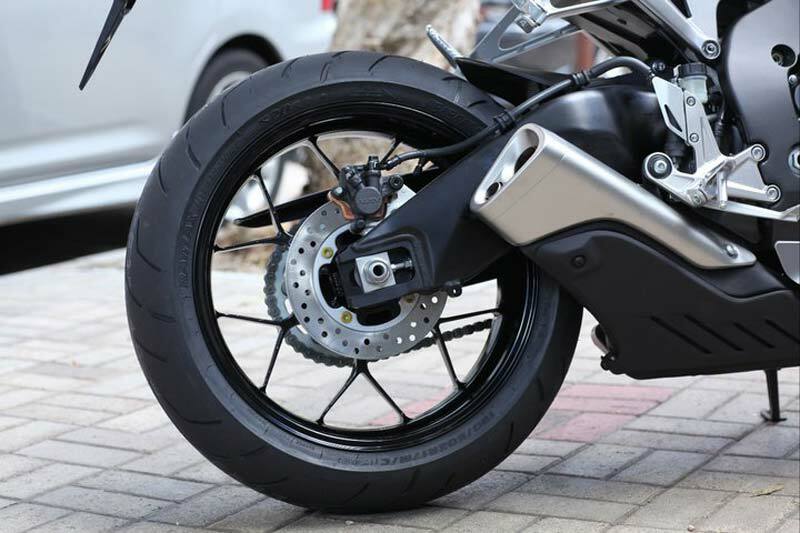 Obviously the wheels, headlights, and air intake ducts have clearly been worked over, and we see some big-piston forks on the front suspension, but otherwise the mechanical bits and and the rear of the motorcycle look like the current model (jump in the comments if you see something new). 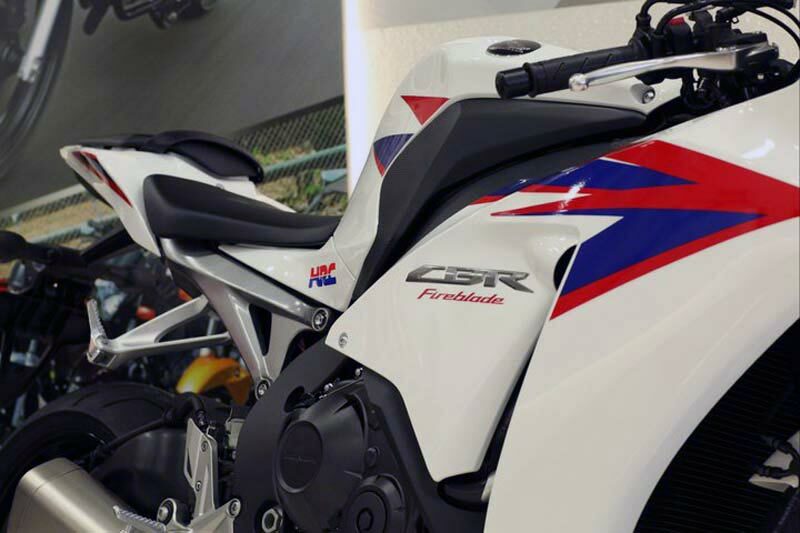 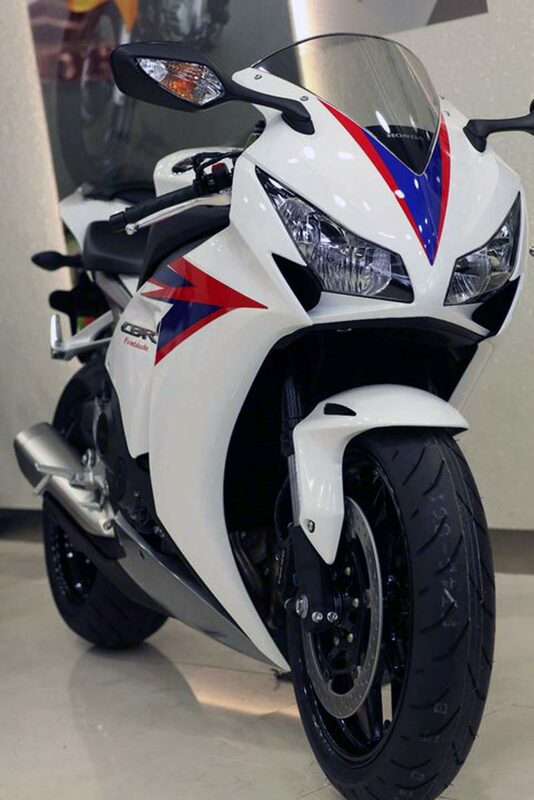 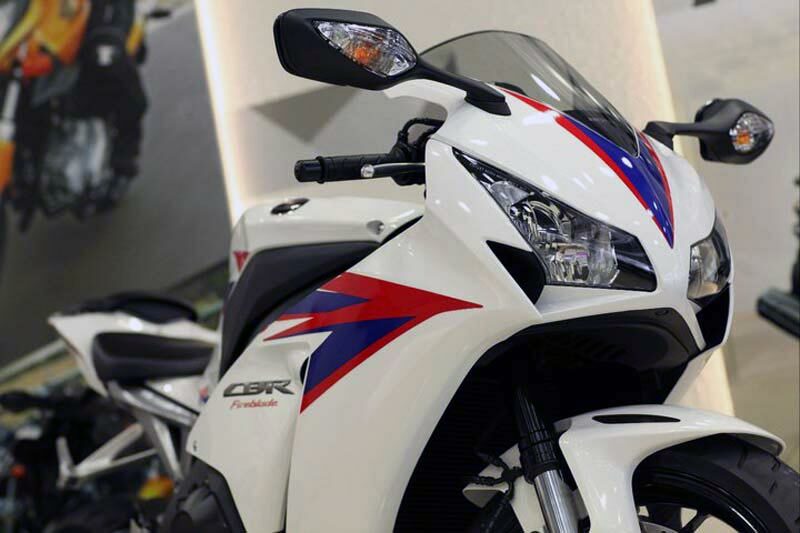 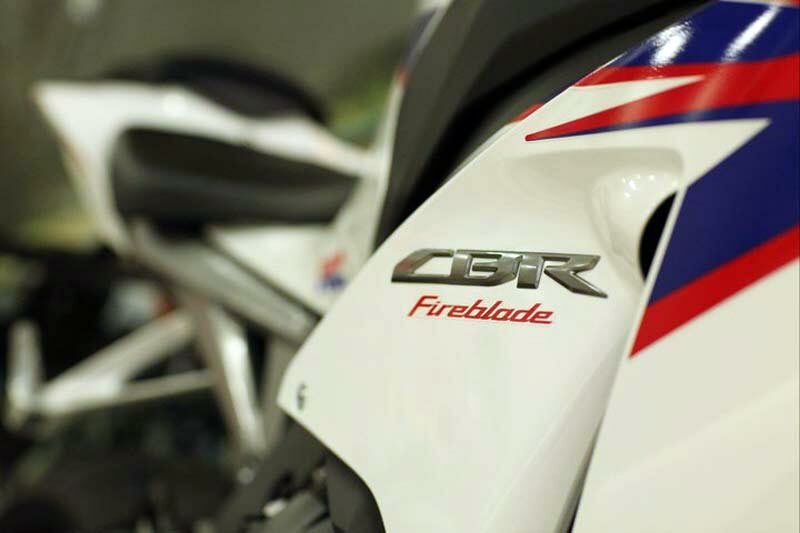 Considering that the current-spec CBR1000RR has been around since 2008, we imagine CBR fans are going to be disappointed by this updated, though mechanically identical Fireblade (we can’t see inside the motor casings obviously). 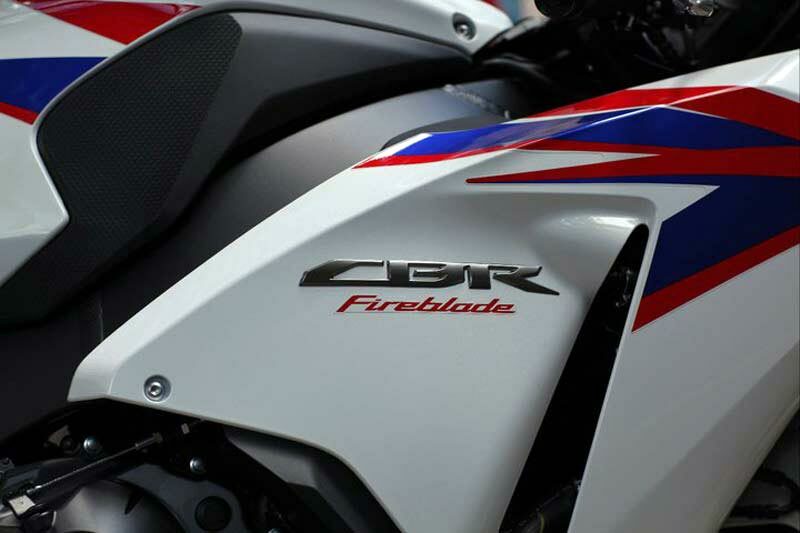 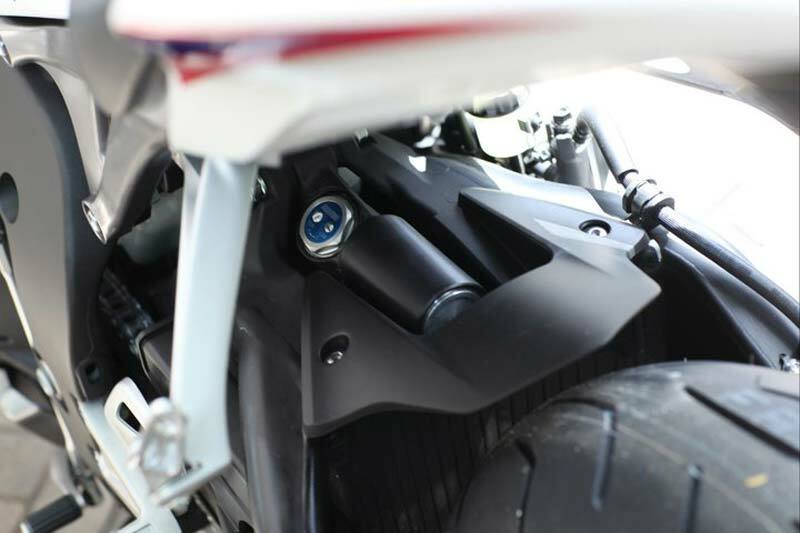 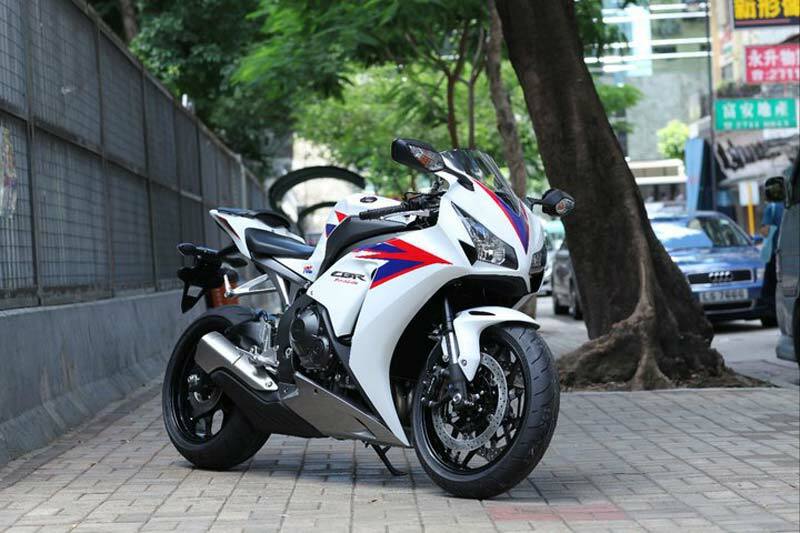 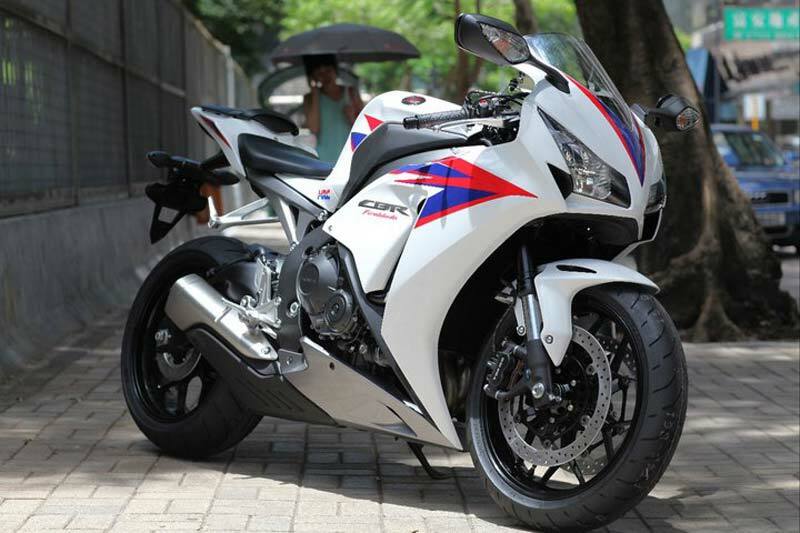 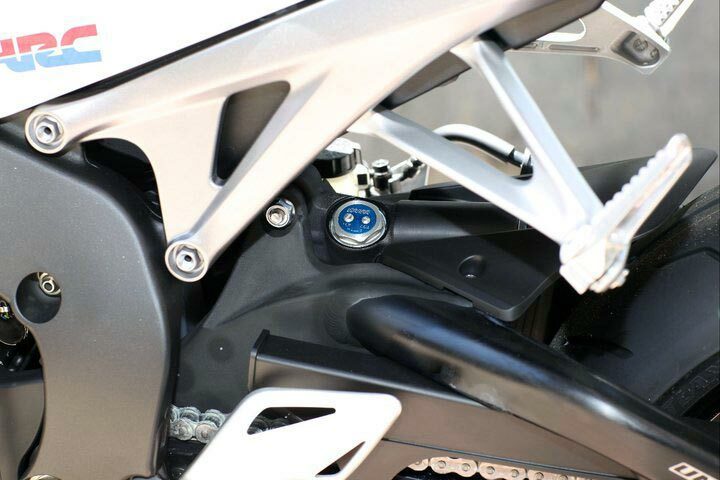 Though there have been rumors that the 2012 Honda CBR1000RR would receive a dual-clutch transmission (we suppose it technically still could, since these photos don’t exclude that option), or that the 2012 Fireblade would use a V4 motor inspired from the RC212V, it appears we’ll have to wait at least another year for the Japanese brand to truly re-work its opus of a superbike. 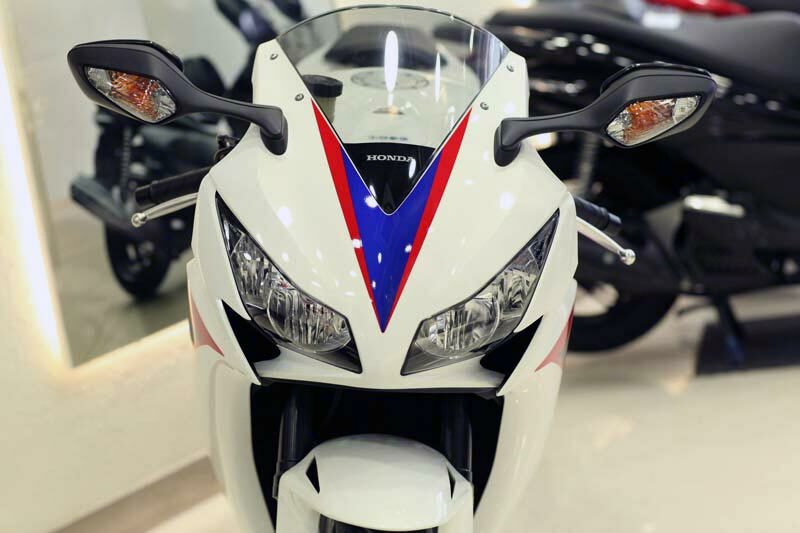 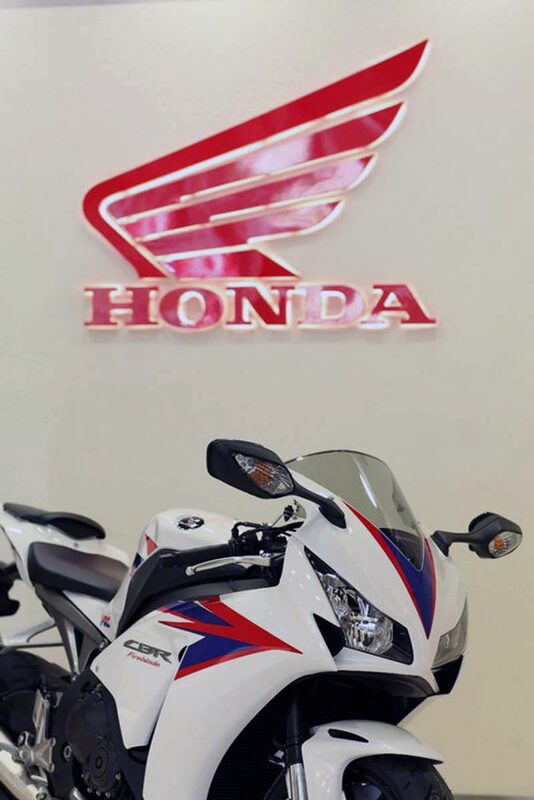 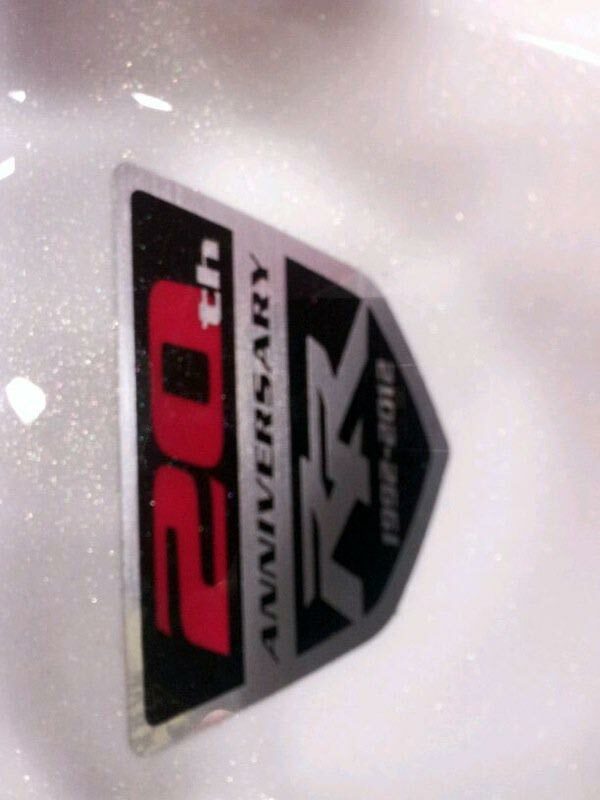 Maybe if we are really lucky, these shots from one of Honda’s international offices (that’s the only hint we’ll give other publications looking to copy this story) are of the Fireblade only going to that market (yes, we’re having a hard believing Honda hasn’t brought a new CBR to the table as well). 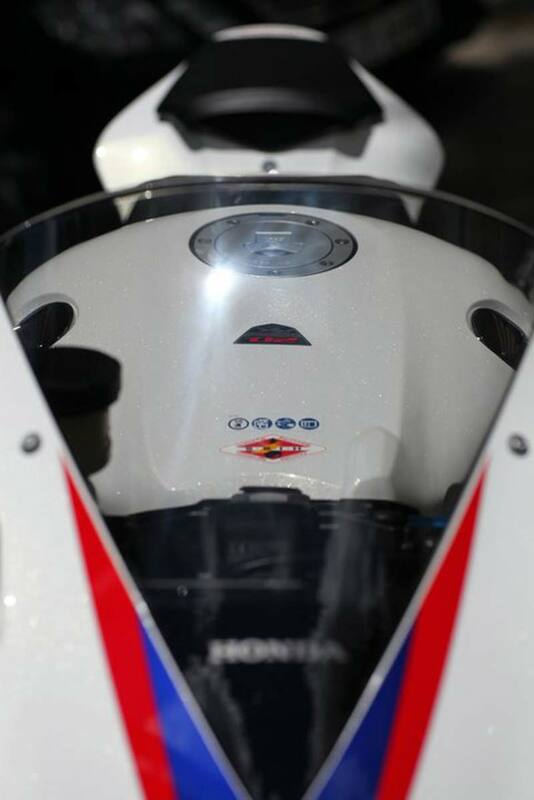 Scrutineer all 29 photos of the new CBR1000RR, and a video of its dash startup screen after the jump. 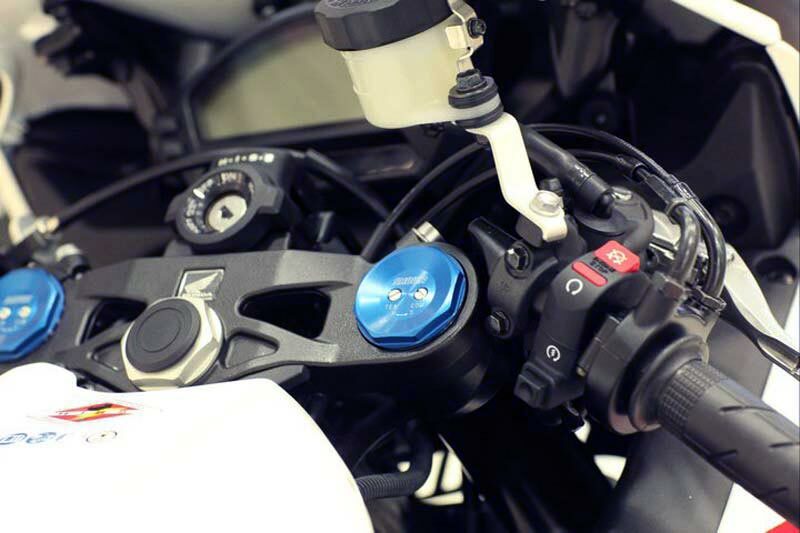 Thanks for the tip John, Tony, Djefri, and Asaph!